Ubuntu on mobile phones has been a long standing project for Canonical and quite an ambitious one. Much like Microsoft and its new One Windows ideology, Canonical hatched the scheme for a unified cross-device application ecosystem long ago, but progress has been rather slow. Meizu has been a vital part of the new OS development with various demo builds and rumor of Ubuntu-powered Meizu handset popping up ever since the MX 3 was the company's flagship offer. Today the Chinese smartphone maker posted a rather interesting teaser on Facebook. The image hints at a new OS, which will join the ranks of Flyme and YunOS and probably be unveiled at this year's MWC. We can instinctively point a finger towards Ubuntu Touch, which we will hopefully see in mass-production devices. This hunch is further backed up by rumors of an Ubuntu MX4 hitting the market early 2015. The current flagship device has been a long-standing candidate for the Ubuntu experience, but we can definitely expect surprises. Last week Canonical threw a quite unexpected curve ball by announcing that the BQ Aquaris E4.5 will be the pioneer of the Ubuntu on a Smartphone. Keeping that in mind it is not certain if the MX4 or MX4 Pro will offer a high-end hardware home for the new OS or Meizu will bring an entirely new phone to the scene. In any case the news is exciting. 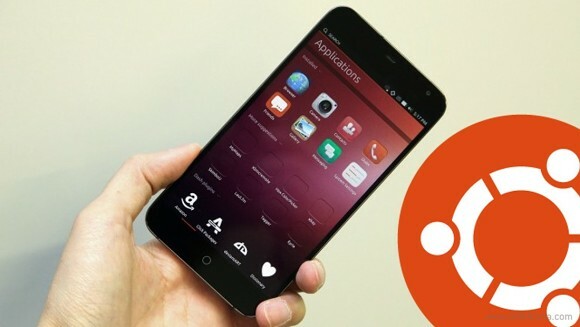 The Ubuntu Touch platform itself is an interesting brain child of Canonical Ltd. The main idea behind it is a uniform kernel and set of base technologies that form a cross device application platform. What this implies is a high level of uniformity and compatibility, allowing you to use pretty much the same set of applications, both on mobile and desktop devices. To further add to the excitement, Ubuntu touch also promises a full desktop experience and perhaps even in the future a full desktop Ubuntu session running straight from the phone or tablet once hooked to a bigger screen. The latter, also known as "Full desktop convergence" is kind of experimental at this time, so it might be a while until we are actually able to dock our phone and use it as an everyday work PC replacement for example. There are also some hardware requirement for the feature to work but they are definitely not out of reach for current gen mobile devices so here's hoping we finally see a full-featured Ubuntu experience on a Meizu device in Barcelona.